← Will We Be Back? 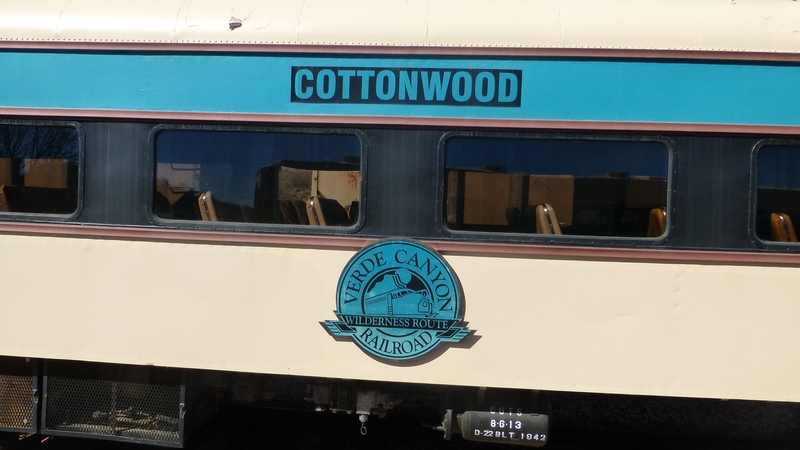 We rode the Verde Canyon Railroad today and their motto is, “It’s the Journey, Not the Destination.” A leisurely train ride is certainly convincing. 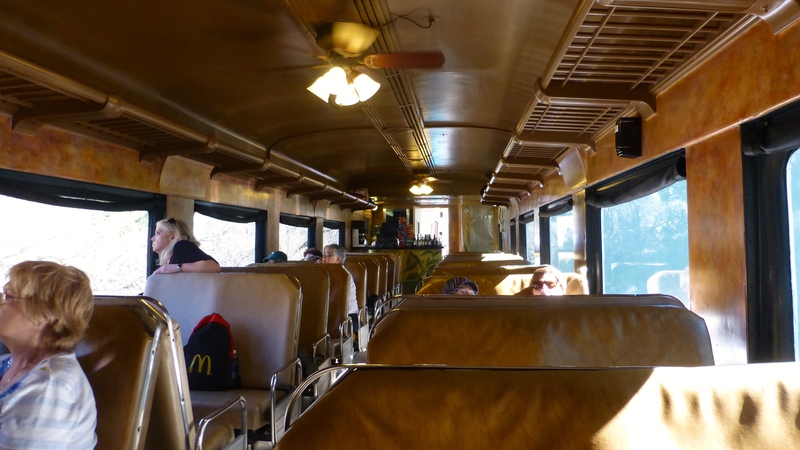 We enjoyed being able to be in our rail car or outside as we preferred. 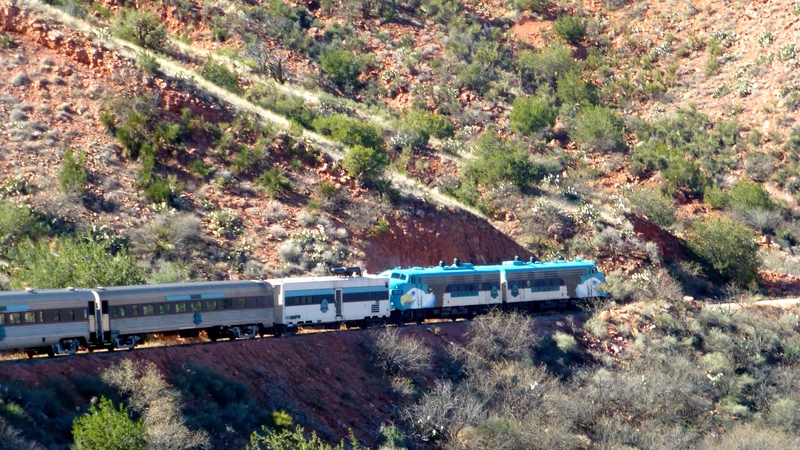 The tracks followed the Verde River – going through barren lands and a red rock canyon. 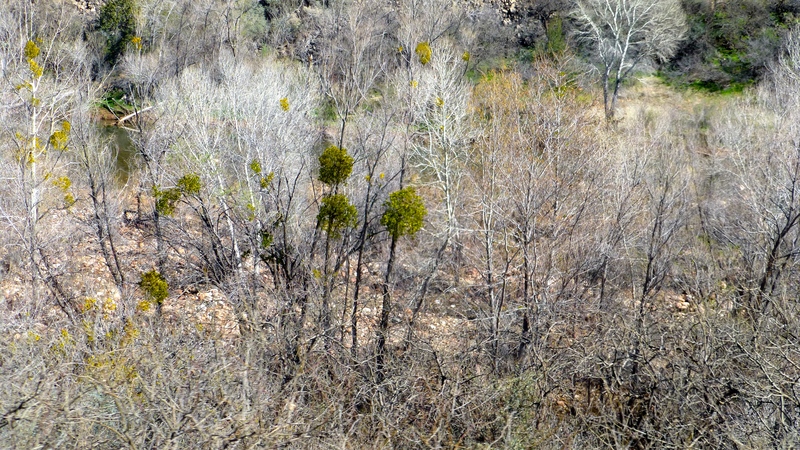 An interesting site was mistletoe (think Christmas) growing in otherwise dormant trees. Mistletoe is a parasite – I may never think of it quite the same way again. We heard narration about our journey interspersed with all the songs ever written that have anything to do with trains. We heard “I’ve Been Working on the Railroad” to “Midnight Train to Georgia” to “Love Train” and everything in between. It was quite enjoyable. 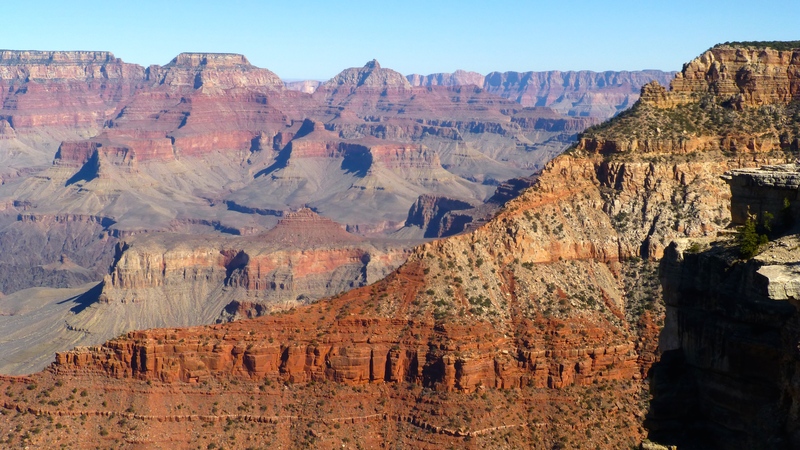 On the Destination side of the equation, we went to one of the best – the Grand Canyon! Even though we’ve seen it several times before, it is always impressive. Our first outing in 1977, before we were a couple, was to the Grand Canyon. 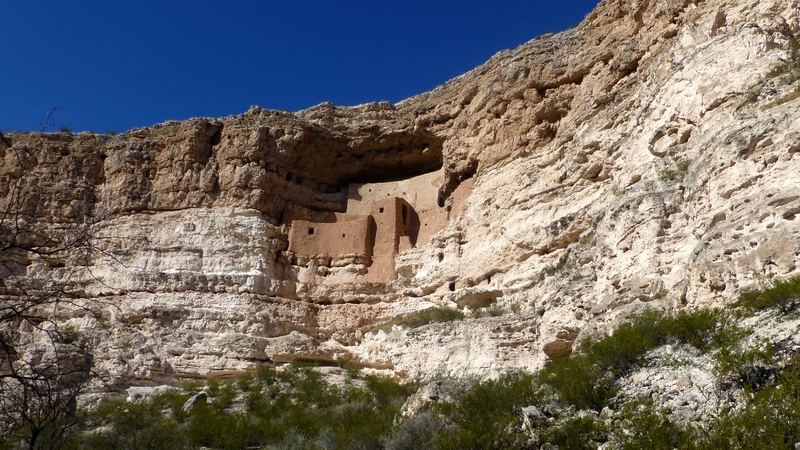 We also explored the areas around Montezuma’s Castle and Montezuma’s Well. 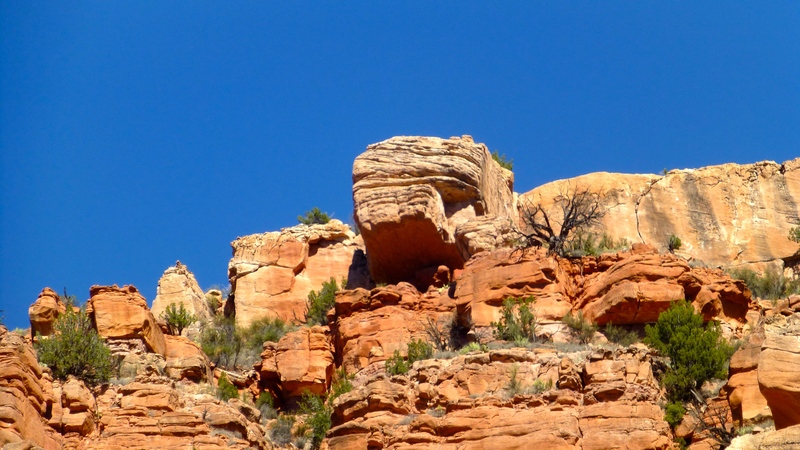 The naming of these monuments seems unfortunate as the ancient peoples, the Sinagua, were here and gone (700 – 1400 AD) long before the Spanish came. Early settlers thought the dwellings had Aztec origins, but that is not so. This “castle” was a five story dwelling with 20 rooms and was occupied between 1100 and 1300 AD. 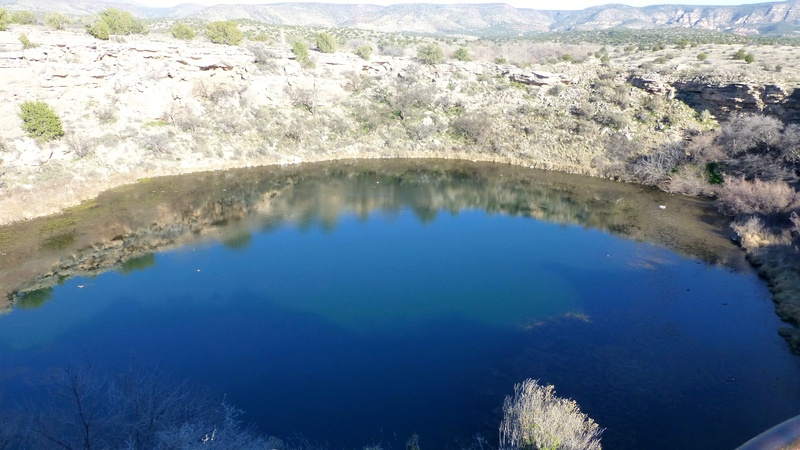 The “well” is an oasis and is formed by continuously flowing springs. It does not have any fish, but this little pond does have five species that are found no where else in the world. These include a tiny shrimp, a snail, a water scorpion, a leech and a one cell plant called a diatom. Leeches are the primary predators in the water. 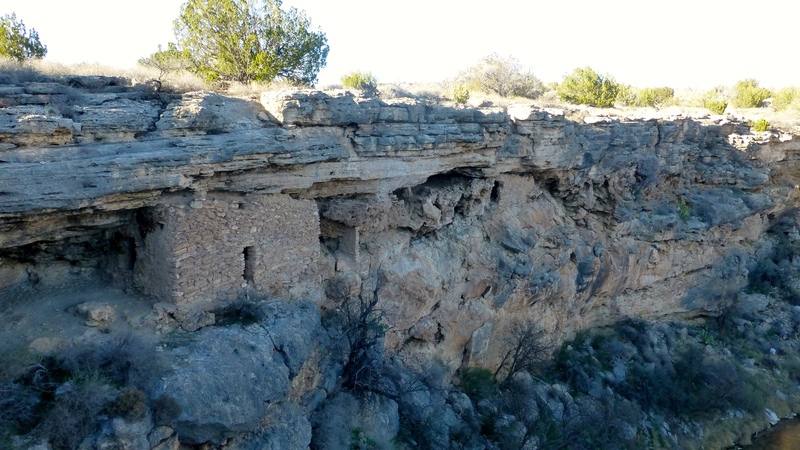 More dwellings and remnants of limestone irrigation ditches are viewable in the well area. We don’t have an answer to journey or destination – we are blessed to be enjoying both! 6 Responses to Is it the Journey or the Destination? Haven’t seen this and really enjoyed your sharing! I always love catching up on your adventures! They’re so interesting to me. 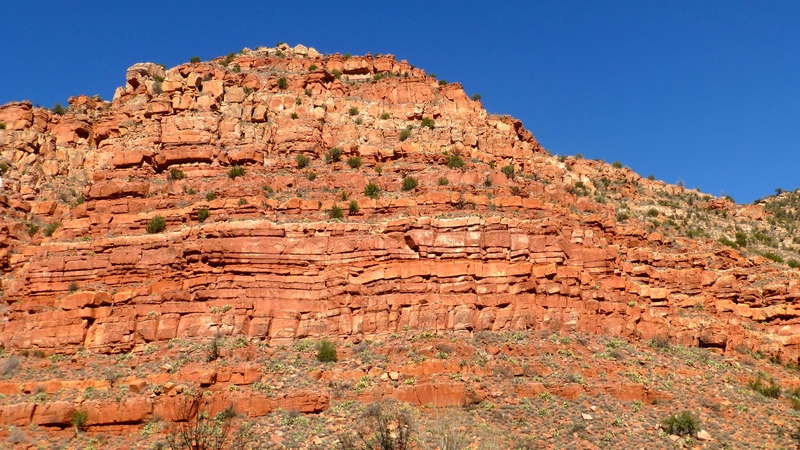 I just returned from Gilbert, AZ. last week. 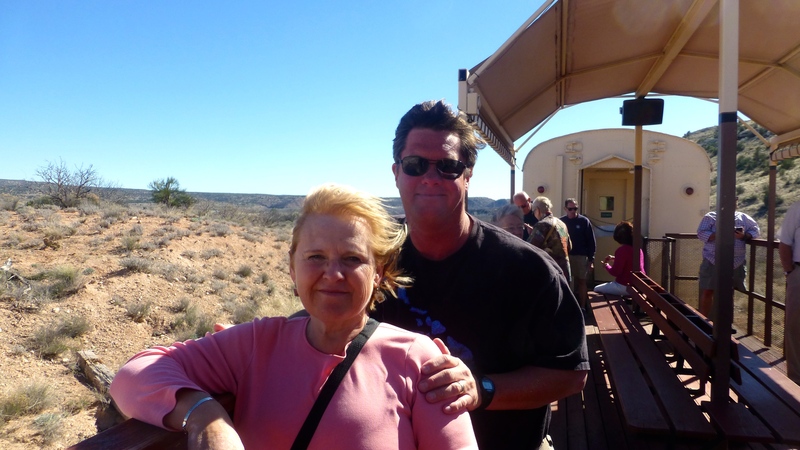 I was there for nine days helping my son and his wife, since they just had their fifth child and our 13th grandchild. They have a beautiful boy – named Bradley Kurt Vogelsberg. I had fun playing with the grandchildren. You’ll be impressed to know that I got up at 6:30 every morning. I helped get the kids to violin, piano, basketball, gymnastics, and dance and walked them to school and kindergarten each day. I admit that I slept for 10 hours the night I returned, but I’m so glad I could be there. They were wonderful and so was the weather. I’m sure they were glad you were there. Missing our grandson is hard! Nice pictures! Time we were there was hazy so pictures weren’t as impressive. Thanks for sharing. 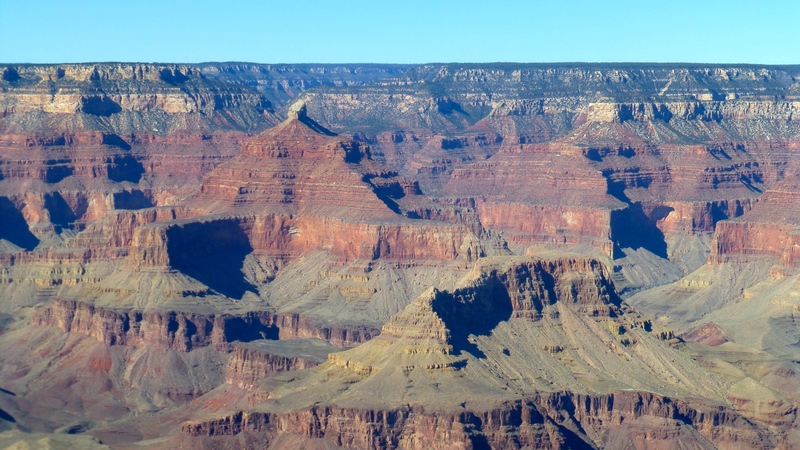 My goal is to someday go to the north rim and the lodge there.